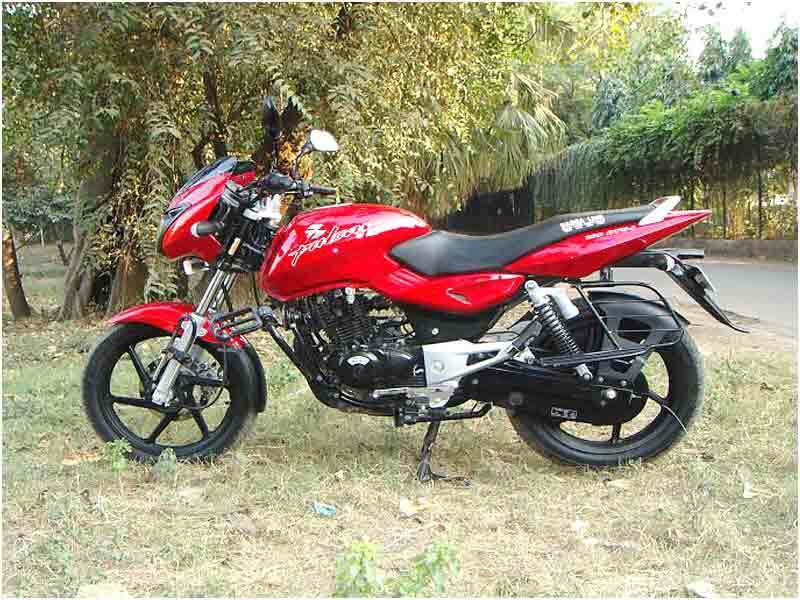 Bajaj has launched the latest 2009 edition of Pulsar 180 cc bike. Bajaj Auto reiterates its strategy with the introduction of 2009 Pulsar Edition to keep the company on top in the bike segment. 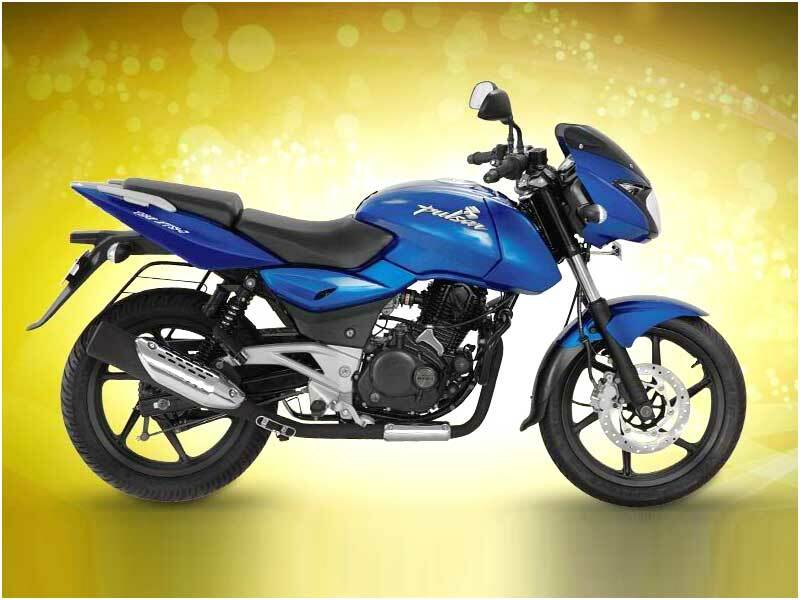 This new launch from Bajaj is a good news for the bike fans and crazy bike riders. 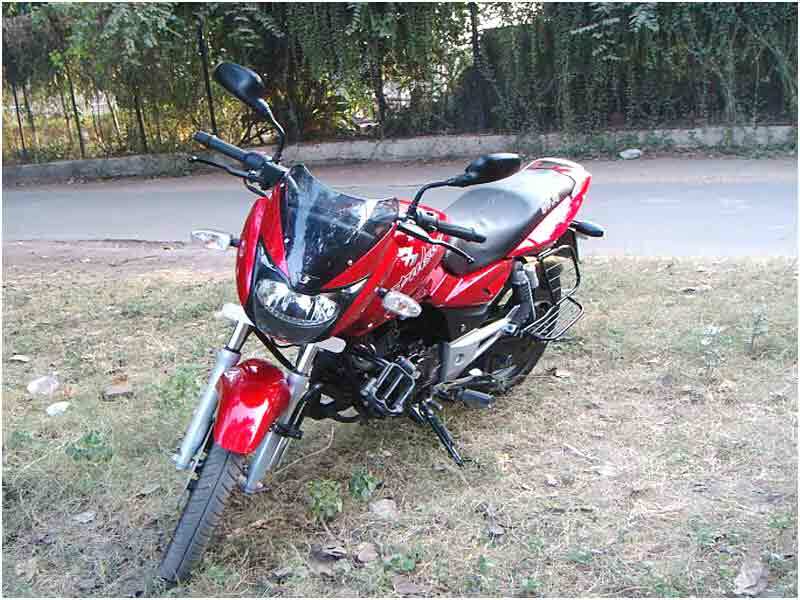 The 2009 edition is named as Pulsar 180 UG-IV. The bike looks really stunning and much muscular then the older version of Bajaj Pulsar. This bike is much more similar to the pulsar 200cc design with black engine and alloy wheels which lend its style of black edition pulsar. The bike uses the same 178.6cc 4 stroke air cooled single cylinder SOHC 2 Valve mill, which produces an enhanced output of 17.02 PS at 8500 rpm. Bore and stroke measure 63.5 mm and 56.4 mm respectively. Maximum torque is reduced by 1 Nm to 14.22 Nm from 15.2 Nm of the earlier version. The reduction is very much felt in this bike. The bike breathes through the UCD 29 carburetor. The wheelbase has been increased from 1320 mm to 1345 mm, which aids the straight line ability of this bike. The bike now comes loaded with an Oval section swing arm derived from the Pulsar 200/220 cc. With the inclusion of all these features the bike feels a bit stiff and less nimble when compared with the earlier version. The bike has a longer turning radius. Under extreme braking, Pulsar stands tall because of the quality of tyres. The New Pulsar will definitely hit the road with well acclaimed performance in the complete new look quite resembling 200cc. Best selling bike in the Indian motorbike market, Bajaj Pulsar 180 DTSi offers a mileage of 45-50 kmpl. Bajaj Pulsar 180 DTSi UG IV is available in the colour variants of Blue, Black, Red and Silver.